Manchester United will take on Celta Vigo in the second leg of their UEFA Europa League semifinal on Thursday night, 11 May 2017. Having won the first leg 1-0 away, United go into the game heavy favourites to qualify for the final however the defeat against Arsenal means this game becomes even bigger than it already was which means more pressure on the team. Celta Vigo are no pushovers and they have already beat Shakhtar on aggregate after losing the home leg. The game kicks off at around 20:05 uk time and we will have live links and match highlights of the game right here on this page. 17′ 1 – 0 Marouane Fellaini scores with a header after Marcus Rashford found him unmarked at the far post and United take 2-0 aggregate lead inside first 20 minutes. Team News & Lineups: Manchester United have massive injury crises as they head to the final run-in of this season with Zlatan Ibrahimovic, Marcos Rojo and and Luke Shaw all ruled out for rest of the season. While Chris Smalling and Jones are stuggling to be fit for final few games of the season. Which leaves Mourinho with a very thin squad and he might have to improvise both in attack and defense to make a balanced selection of the team. 67′ 0 – 1 Marcus Rashford scored midway through second half to put United 1-0 in lead with an absolute superb freekick. Celta Vigo on the other hand will be without Giuseppe Rossi (ruled out for rest of the season) but Celta Vigo squad is much more fresher than United as they rested key players ahead of the first leg. The trio of Pione Sisto, Iago Aspas and John Guidetti set to start upfront in a 4-3-3 system which can be difficult to cope with for United who have already played over 55 games this season. This is how I expect both teams to lineup on Thursday night. Predictions: Manchester United have been pretty solid at home in European competitions this season and with that in mind they will be happy with a score draw in Vigo which will allow them to play without any pressure back at Old Trafford. Celta Vigo are a very difficult team to play against and they have already beaten both Barcelona and Real Madrid once each this season. United must keep themselves ahead after first leg otherwise Vigo can cause an upset at Old Trafford in a week’s time. 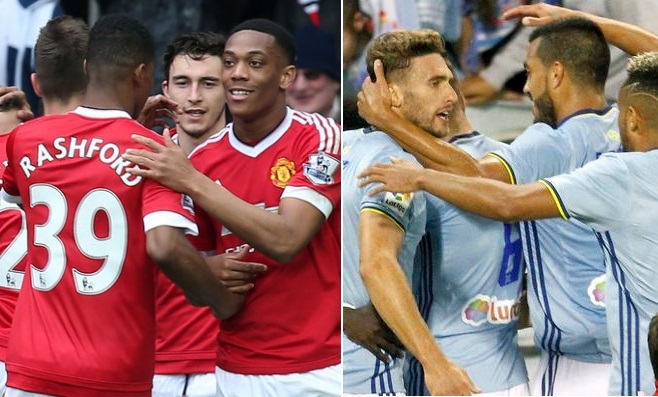 I am going with a 2-1 win for Celta Vigo in first leg but United to win the tie in second leg. Manchester united deserved to win this match today, because they started the game with lot of pressure and chances to score more goal. It is good news that Man Utd qualified for the finals however l think that the club needs to find a clinical finisher to be able to maximize the opportunities they create. It is also important that the midfield and the defence become more mobile to be able to withstand counter attacks although they have injury issues, going back to their youth team to look for fast players may help. Two very average sides. Neither deserves to win the cup.